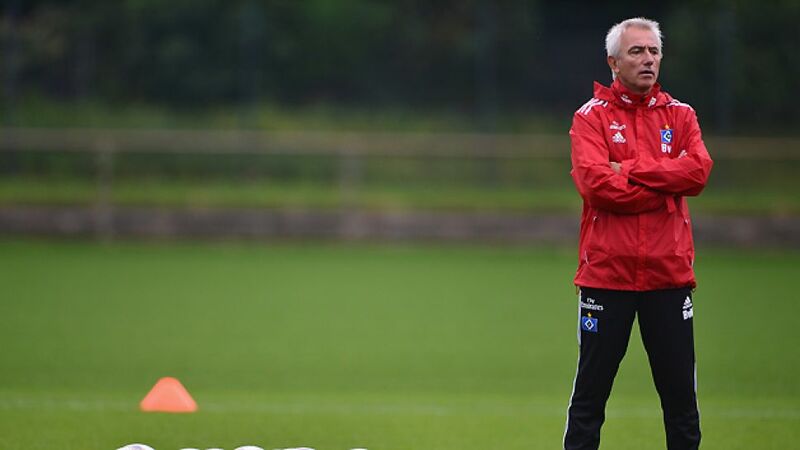 Hamburg - Upon his unveiling at Hamburger SV, Bert van Marwijk noted that “every team needs pressure”. His team was certainly under pressure coming into the final few minutes of their away fixture with Eintracht Frankfurt. 2-1 down with five minutes remaining, it was time to see just how his players would respond to real pressure. Marcell Jansen, with 210 Bundesliga appearances under his belt led the response. The left-back cut into the box and fired an equaliser into the far corner to reignite hope in Hamburg. The 30-year-old added he was “delighted that Bert is here, he’s a good, experienced coach”. Indeed, the signs were that van Marwijk had reinvigorated Hamburg physically. The first side the Dutchman selected as Hamburg coach ran 120.5 kilometres, only bettered by two other Bundesliga clubs on Matchday 7, and van der Vaart alone completed 12.6 km, the third-most by any player. It hasn’t just been physical rejuvenation for the men from the port city though. Van Marwijk has chosen to put the players through personality tests and psychological examinations in an effort to lift the Bundesliga’s only ever-present club from the 16th-place in which they currently reside. "We will do a personality test, as it helps to learn what's in the mind of the players," said van Marwijk, whose employment at Hamburg is his first job after leaving the Dutch national team in 2012. Heiko Westermann welcomed the new approaches and spread the ubiquitous message of squad contentment and step-by-step improvement, phrases which are fast becoming mantras. "The coach prepared us well in the last few days, because it was obvious not everything was working,” said the 26-time German international, “we can build on this performance, and lots of hard work awaits us in the coming weeks”. Goalkeeper Rene Adler further highlighted the need “to work closely with the new coach” and the fact that the 61-year-old Dutchman’s principles of hard work and discipline have spread so quickly is because, according to midfielder Tolgay Arslan, “he’s a respect sort of person, when he comes into the changing room everyone is quiet”. That “respect sort of person” van Marwijk has some big ideas for Hamburg after taking the necessary small steps and having refreshed the players, his message now is one of rebuilding confidence. "We have lots of young, creative players and they do make mistakes. Despite that, I still put them on the field in order to give them confidence”. Indeed if such confidence starts to flow through a talented squad as regularly as the North Sea flows into the port of Germany's second-biggest city, then the long-suffering fans in Hamburg are in for some Dutch delight.